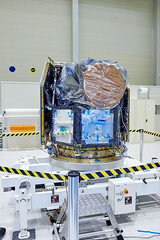 The research satellite CHEOPS was developed jointly by the University of Bern and the European Space Agency ESA. 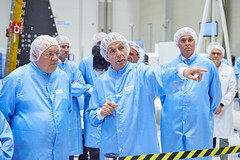 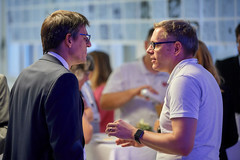 At an event at RUAG in Zurich on 27 August 2018, representatives of the institutions involved in its construction visited the satellite. 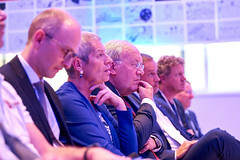 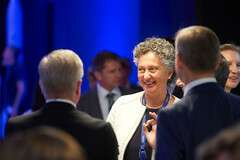 Among the speakers and guests were Federal Councillor Johann Schneider-Ammann, Jan Wörner, Director General of ESA, and Prof. Willy Benz from the University of Bern, scientific director of the CHEOPS mission. 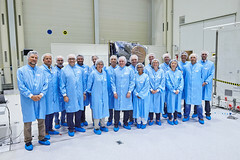 CHEOPS (CHaracterising ExOPlanet Satellite), scheduled for launch in the first half of 2019, is currently in Switzerland for a series of tests. 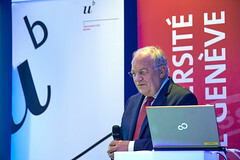 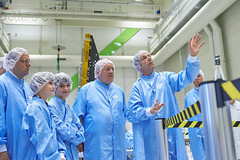 At the presentation of the satellite in Zurich, Federal Councillor Johann Schneider-Ammann emphasised the great importance of the space sector for Switzerland as a location for research, innovation and business. 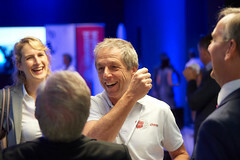 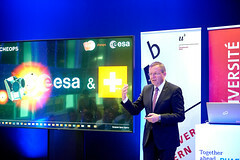 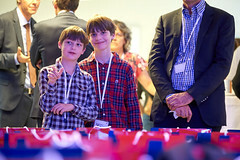 In view of the fact that CHEOPS was developed under the joint project management of ESA and the University of Bern together with an international industrial consortium, the head of the Federal Department of Economics, Education and Research stated: “Switzerland is a space nation!”. 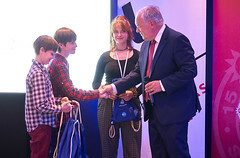 He also referred to the need to promote young talent in the fields of mathematics, computer science, natural sciences and technology and related initiatives. 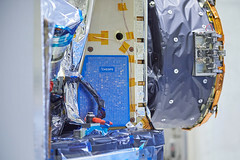 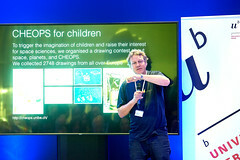 In this context, he unveiled two titanium plaques that will fly into space with CHEOPS. 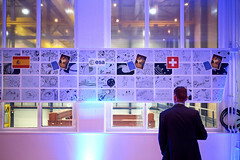 Almost three thousand miniaturized space drawings of children from all over Europe, including Switzerland, are engraved on them. 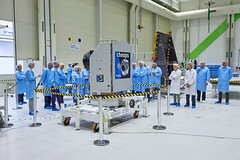 CHEOPS is the first of ESA’s newly created small class missions. 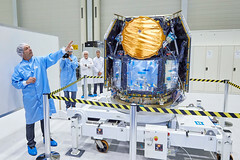 It is dedicated to the characterization of exoplanetary transits. 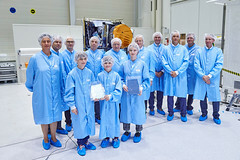 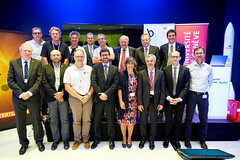 A consortium of more than a hundred scientists and engineers from eleven European nations participated in the construction of the satellite and its main instrument, a telescope.